I have this quote on my desk. I’m not sure where it came from but it must have struck a cord with me because I took the time to cut it out and glue it on a little card. It’s a perfect reminder when I’m in a funk and getting all fired up and ready to “blame” someone or something for my procrastination or when something isn’t going my way. Aren’t we all guilty of pointing fingers at our boss, co-workers, spouse, childhood or society in general when things go wrong or for the way our lives are “turning out”? If we take this quote to heart, the BAD news is we have no one to blame but ourselves! Ugh. I was afraid of that. However, the GOOD news is we have no one to blame but ourselves! Say what? I have a choice? 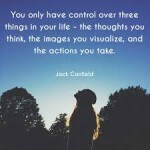 There are many things in our lives that we cannot control BUT there are way more things that we can control. Think about your circumstances. What do you complain about? Do you say find yourself saying “if only_____, then I could ____, be ____, do _____, etc. ? 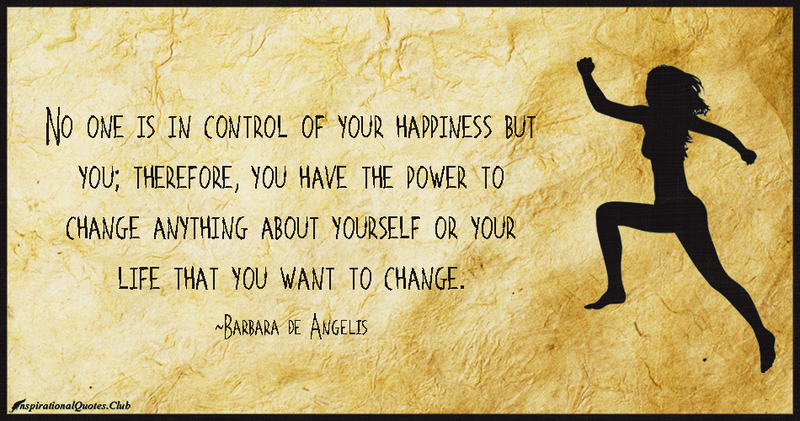 Ask yourself “what can I control”? If you hate your job or your boss or a co-worker is on your last nerve, what can you control? You can’t change their behavior but you can change how you react to them or a particular situation. Do you want to lose weight or have you always wanted to take a painting class or feel stuck somewhere in your life? What’s holding you back? Let’s blame our bones. YOU have to choose the life you want! TAKE RESPONSIBILITY and realize YOU CREATE your own life by MAKING CHOICES! I know that I can and am creating the life and business that I want but sometimes I also need a little reminder that it is MY RESPONSIBILITY. That’s why I keep that little quote handy. What is ONE thing you can CHOOSE to do today that over time will make a difference? It can be as simple as choosing to not engage in office complaining with your disgruntled co-worker or to research some local craft or painting workshops, or thank your spouse for something he does well (there must be ONE thing). Share your “one thing” in the comments section below and let know know where you are choosing to take responsibility for your life. If you need help getting started my “Connect the Dots” 6-week Clarity Coaching Program might be your ONE THING! Check it out.